Another New York Fashion Week has come and gone, my friends, and boy, is there a lot to discuss! Most designers were showcasing their Spring 2017 collections, but a few bold brands adopted the see-now, buy-now method and showed clothes that were available for purchase immediately. Some celebrity lines soared (Gigi x Tommy Hilfiger) while others crashed and burned (*cough*Yeezy), and as always there was plenty of controversy over collections, but all in all there were some truly stunning collections (Altuzarra, Delpozo, and Proenza Schouler were the big standouts for me) and plenty of fashion to get me excited for 2017. When it's 90 degrees all week, the tents can get stuffy, so why not take the runway into the streets? 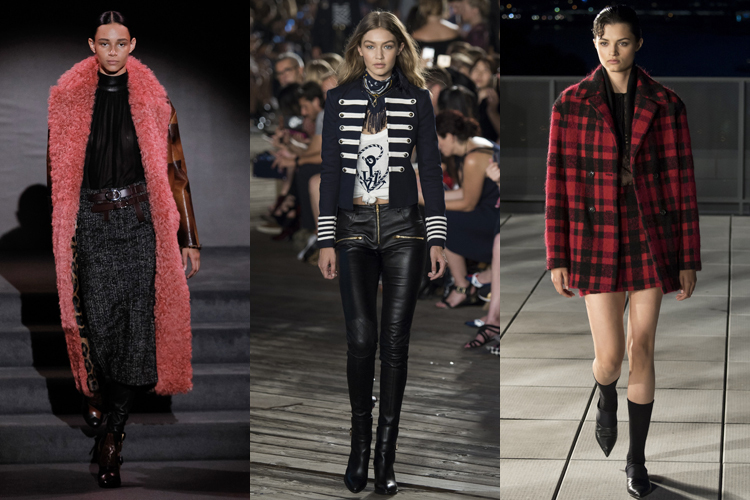 Lela Rose, Rebecca Minkoff, and Ralph Lauren were a few of the designers to bring their shows onto streets and sidewalks, and from social media it seemed like people liked the change of scenery. It also allowed viewers to easily picture the clothes in the real world, as opposed to up on a stage. 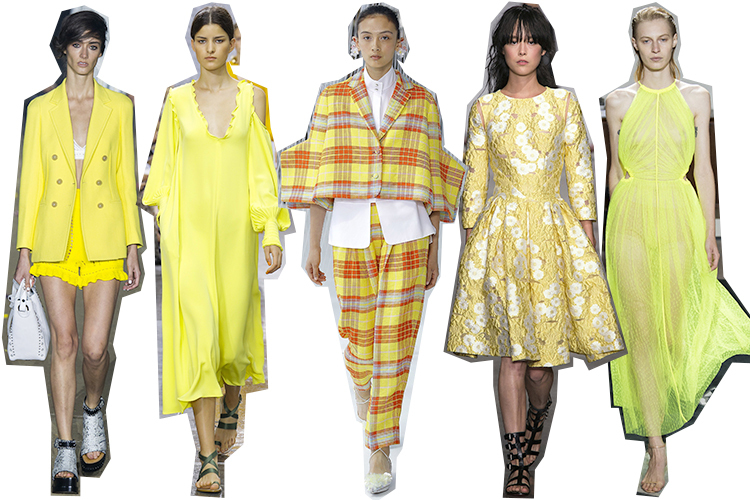 Every season there seems to be a standout color, and for Spring 2017 there's no doubt that it was yellow. A hard color to pull off in a head-to-toe look, maybe, but I loved the easiness of Tibi's asymmetrical dress and Phillip Lim's tonal separates. 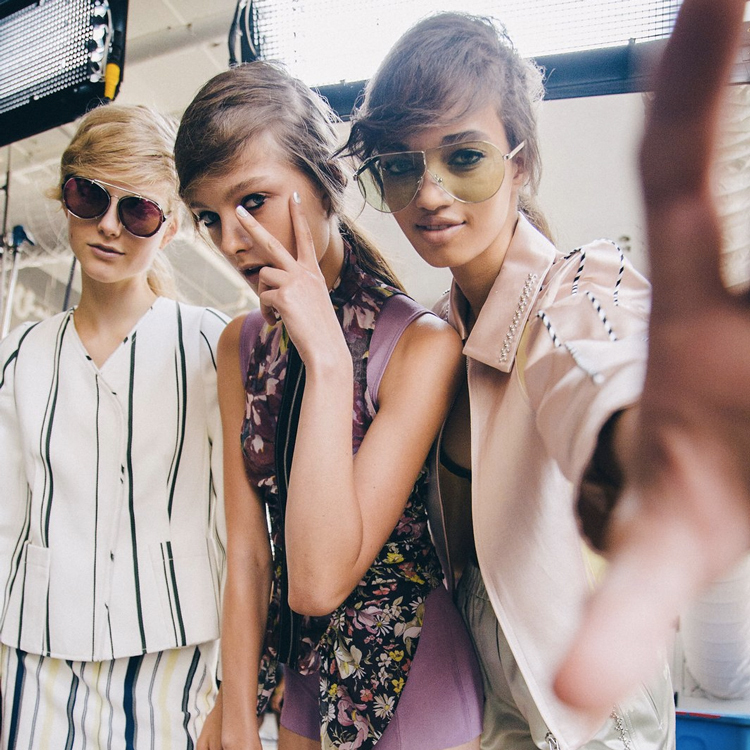 The fashion world can be a bit disorienting because everyone is always a season (or two) ahead. Spring collections debut a good six months before they hit the stores, and in a world where Snapchat and Instagram make runways instantaneously available—even for plebeians like me—waiting for a collection to become available to purchase can be agonizing. So many fashion designers adopted the see-now-buy-now method, where the collections are available to buy as soon as the models traipse the runway. It isn't an entirely new idea (Moschino has been doing it for several seasons now) but many more designers took the approach this time around. It will be interesting to see how this benefits brands commercially, and whether or not this will become the fashion week standard in seasons to come. Crop tops aren't a novel idea at this point, but I was surprised at how many teeny tiny bralettes and bikini tops designers featured in their collections. 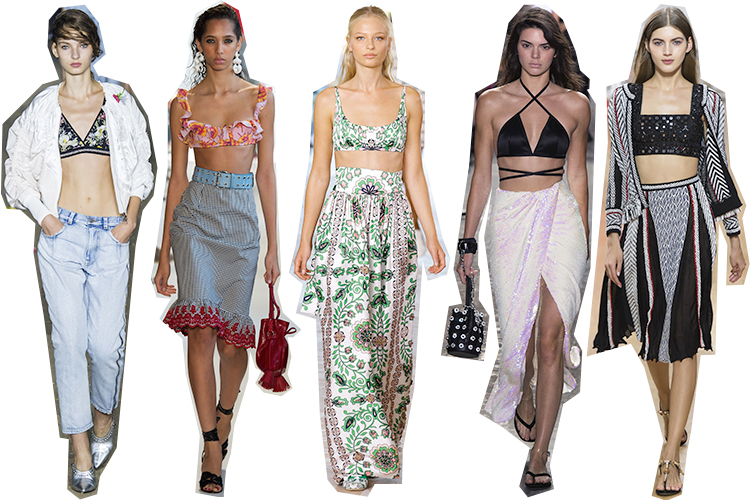 These weren't poolside looks, either; Altuzarra and Oscar de la Renta pushed office-appropriate looks (although, I've yet to see any office allow that, no matter how lax their dress code), and both Tory Burch and Alexander Wang sent ab-baring evening looks down the catwalk. 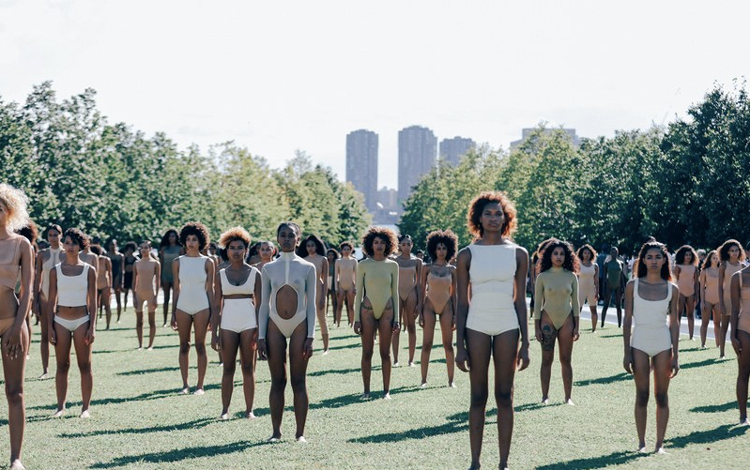 Finally, a backlash against Kanye West and his Yeezy fashion line. There were whispers last season about how severely underpaid the models were, but this season the you-know-what really hit the fan. Show attendees were shuttled out to Roosevelt Island where the 3 hour presentation was held. Models stood in 90 degree heat for that time, during which shoes melted, sweat dripped, and overall chaos ensued. Some models fainted. Others just said "eff it" and sat down. None of them were given water. Like, boring Star Wars lingerie clothes aside, this is just straight-up exploitation of women. Kanye uses his celebrity to trick these girls (most of them picked from street casting calls) into participating in his overrated fashion shows for next to no pay, and season after season the tastemakers of the fashion world eat it up because they get a couple of good instagrams out of the deal and maybe a Kanye performance. Ugh, whatever. I've been over the coddling of a mediocre celebrity line since the beginning, and I'm glad that people finally opened their eyes and saw how stupid this whole show and the treatment of the models were. Let's hope this is one show that isn't renewed for a 5th season. 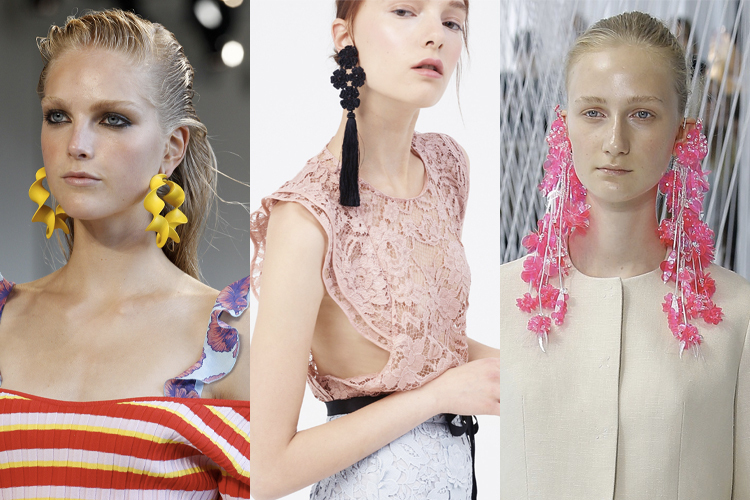 In accessory trend news, the bigger the earrings, the better. At Delpozo, Altuzarra, and Sachin & Babi, the models were weighted down in heavy sculptural earrings. Unfortunately I don't have my ears pierced, so I will not be rocking this look, but what do you guys think? Cute or too heavy (literally) for your tastes? 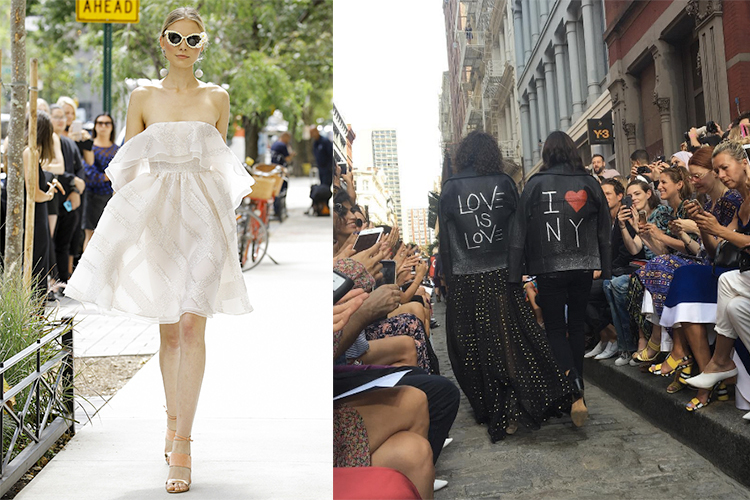 What was your favorite NYFW moment? Such a good review!! Would you do one for London fashion week? Thank you, Emma! Yes, I probably will do a LFW recap! There's always so much cool fashion that comes out of London! Finally! Someone who agrees that Kanye West should just limit to do... whatever it is that he "does".